The Young Living July promos are here! Kick your feet up and relax with the pleasant scents of Ravintsara and Aroma Siez™! You can also enjoy the exceptional cleaning power of Thieves® Household Cleaner and the benefit of 10 percent back in Essential Rewards with your qualifying July order! 5-ml Ravintsara: Commonly used in meditation, Ravintsara has a pleasant, clean scent. Thieves Household Cleaner, 14.4 fl. oz. 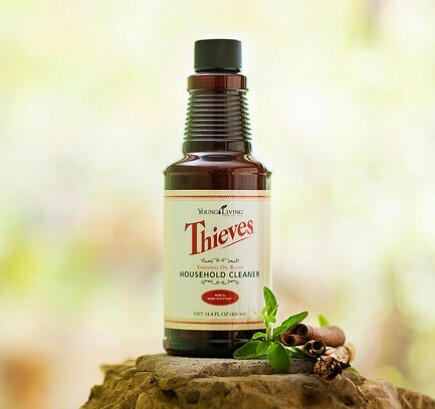 : Thieves Household Cleaner can be used for virtually any surface in your home or office and is safe to use around every member of your family, including children and pets. Bonus Essential Rewards exclusive: 5-ml Aroma Siez: A key Young Living blend, Aroma Siez features the calming and relaxing aroma of Lavender essential oil. This is available only in qualifying Essential Rewards orders of 190 PV or more. Ready to see what we're giving away to one lucky Essential Rewards member this month? What's that? You're not an Oily Angel member yet? 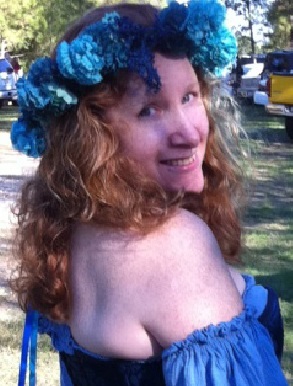 Well go on over to http://bit.ly/JenineHerrell and I'll fix you right up so that you'll be eligible to enter! The 2 brand new formulations of Valor II™ and Peace & Calming II™ have been so popular that ordering is limited to one bottle of each per YL account per month... but we're looking out for you! If you have an active Essential Rewards membership in July, you qualify to receive an additional bottle of each of these new formulations FREE! 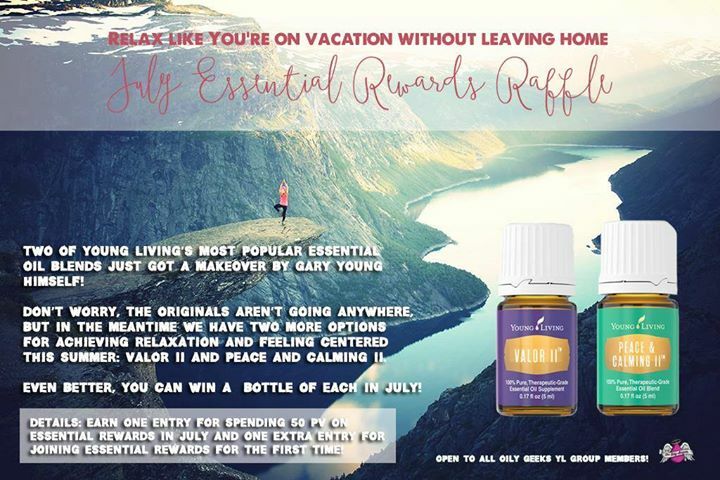 * You need to place a 50PV ER order in July to qualify-- let's take a second to talk "go big or go home" here...order 190 PV and score free goodies from YL in ADDITION to your chance to win! See the image below for details. * If July is your FIRST active month on Essential Rewards, GO YOU! Way to score points to redeem for free product, rockstar! You also gain a second entry in our Valor II and Peace & Calming II giveaway! To seal the deal on your chance of winning, you need to fill out this super simple form. This is the only way we know that you qualify. Ok that's an outright fib but the other ways of finding out will require reports in VO and chat sessions and generally more work so help some girls out, k? Here's the magical form: http://goo.gl/forms/W5hGyD9YDe and GOOD LUCK!